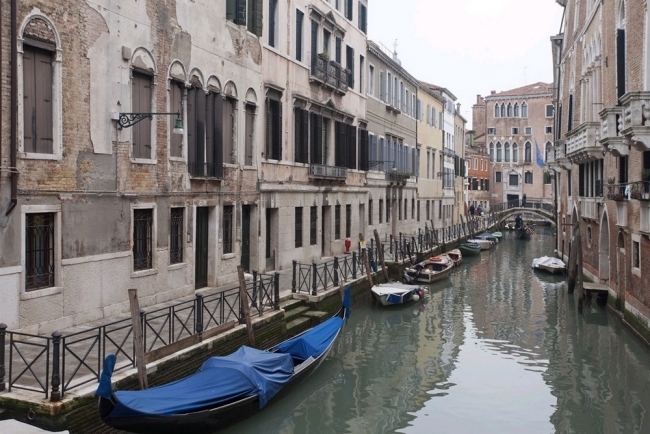 Few tourists venture into this working-class and residential neighbourhood in the sestiere of Castello, except to go to Riva degli Schiavoni, the esplanade that runs alongside Saint Mark's Basin. The contrast is striking between the crowded promenade and the peaceful tranquillity (not to mention the cool shade in the summer) found on such narrow streets as Salizada dei Greci, and San Lorenzo or San Severo. Salizada dei Greci, with its markets and Venetian trattoria, is the neighbourhood’s main street. 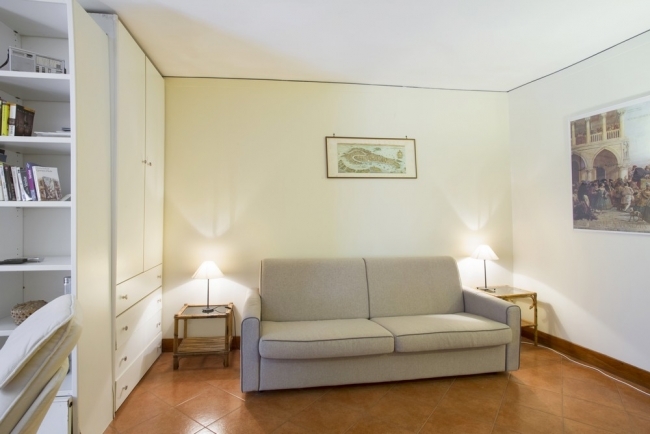 The apartment is easy to get to by vaporetto (San Zaccaria), and is only a 10-minute walk from Saint Mark's square. 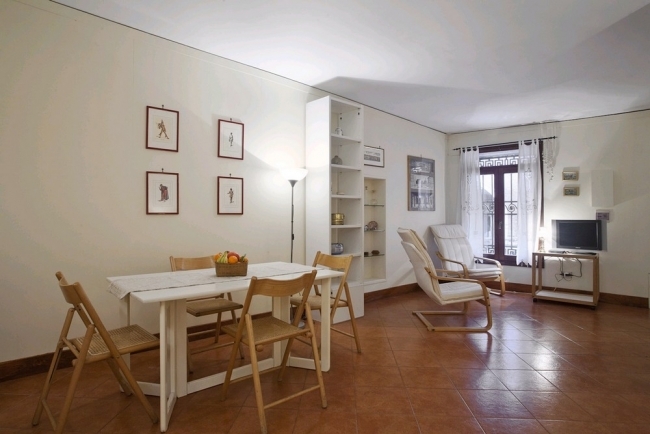 This large, ground-floor studio apartment (39 m²) is situated along Rio di San Severo. 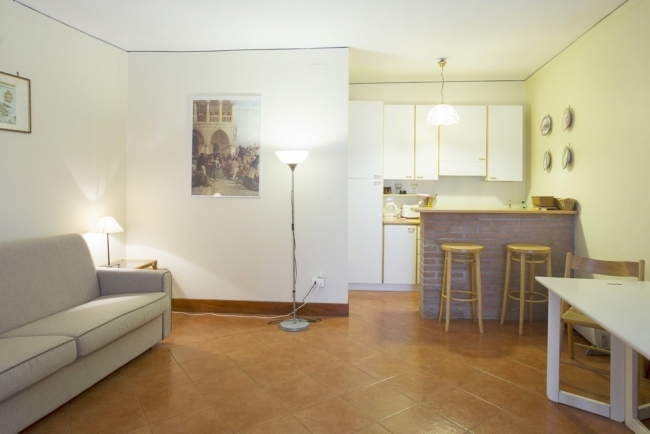 The apartment consists of one large room (36 m² - west facing) with a large window that overlooks the promenade and Rio di San Severo canal. 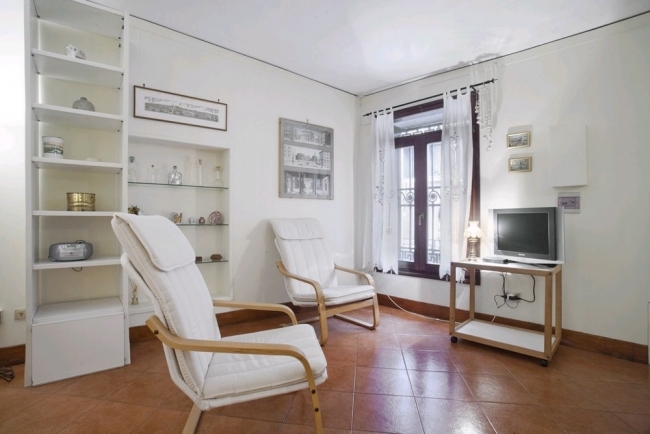 There is a table with five folding chairs, two armchairs, a sofa-bed, a wardrobe, a TV, and a radio. 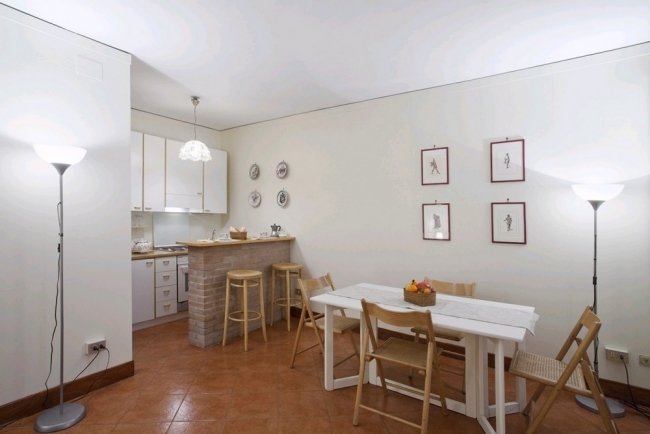 An American-style kitchen with two bar stools completes the room. 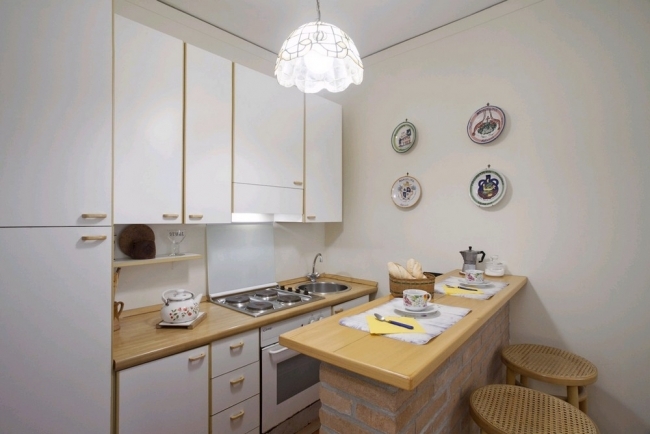 The kitchen is fully equipped with all the modern conveniences (four stove-top burners, an oven, and a refrigerator) and has all the cooking and eating utensils you’ll need. 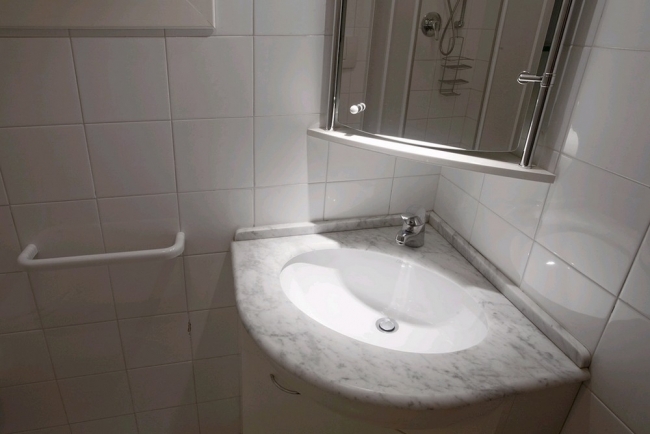 The bathroom (3 m²) is fitted with a shower, sink, bidet, and toilet. Possible disturbance from 7–9 a.m. on business days due to merchandise being unloaded on the pontoon in front of the apartment. There is a locked barrier (used to protect the apartment from high tides from mid October to late April) that you must step over in the front door. The apartment can be a little dark. Cost: 15€ (one-way). Tickets can be purchased at the Alilaguna box or on the boat itself. Schedule: Blue Line: First boat leaves at 8:45 a.m. – Last boat leaves at 12:15 a.m. Boats leave hourly at 15 minutes and 45 minutes past the hour from 8:45 a.m. to 8:15 p.m., and at 15 minutes past the hour thereafter. Schedule: Buses leave 20 minutes after flight arrivals: http://www.atvo.it/index.php?lang=it&area=23&menuid=36&view_pc=! Between 24€ and 31€ per day depending on the season and the size of the vehicle. 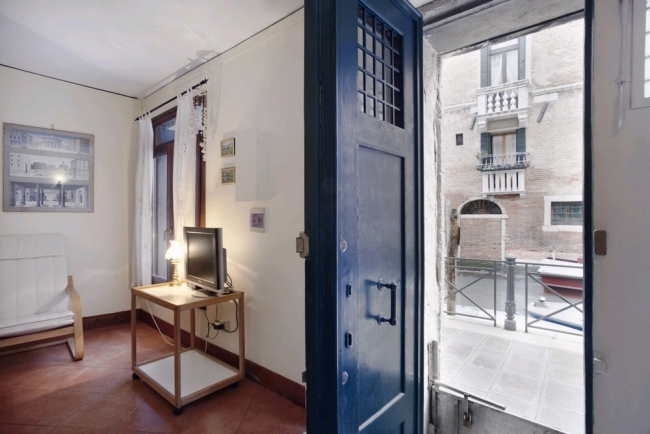 Get discounted rates when you reserve online at asmvenezia.it at least 15 days in advance. Website in Italian and English. Once you have parked your car, simply take the train to Venice (10 minutes – 1.10€/ticket) or catch a bus (Line 2) to the Piazzale Roma terminus. Buses run every 10 minutes. Single-journey tickets cost 6.50€ per person (1 suitcase included). There are also 12–, 24–, 36–, 48–, 72–hour passes or 7-day passes for 16€, 18€, 23€, 28€, 33€, and 50€, respectively. 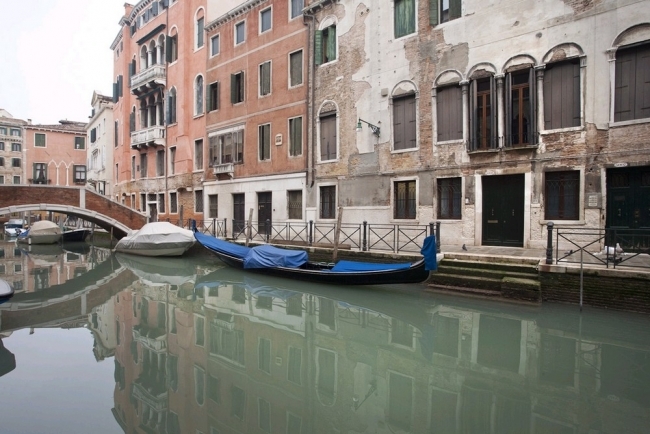 For more information, visit hellovenezia.com or veniceconnected.com. Line N operates through the night. Please note that the cloakroom at the Santa Lucia train station (quay 1) is open from 6 a.m. to midnight. Cost: 4€/5 hours per bag + 0.80€ for each additional hour. 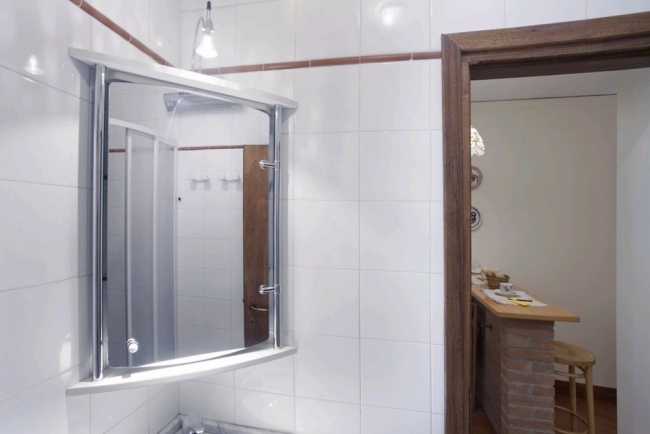 There is also a cloakroom (deposito bagagli) at Piazzale Roma (near the Pullman Bar) that is open from 6 a.m. to 9 p.m. (4€/24 hours per bag).